Syllabus of the Online Course (Subject): European Economic and Social Committee (EESC). Description of the Online Course: European Economic and Social Committee. 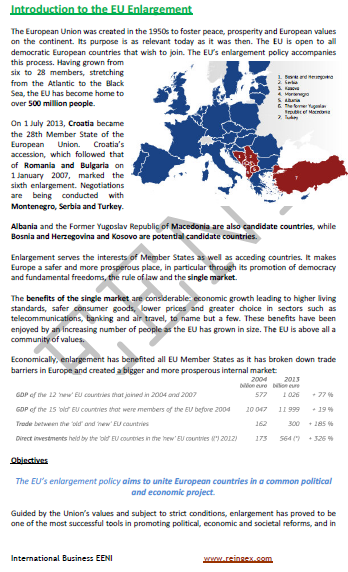 The European Economic and Social Committee is a consultative institution of the European Union (Europe). 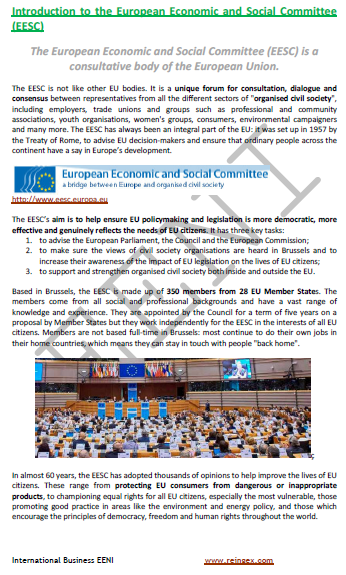 The main objective of the EESC (European Economic and Social Committee) is to provide advice to the European Union Institutions (European Commission, European Council, European Parliament). 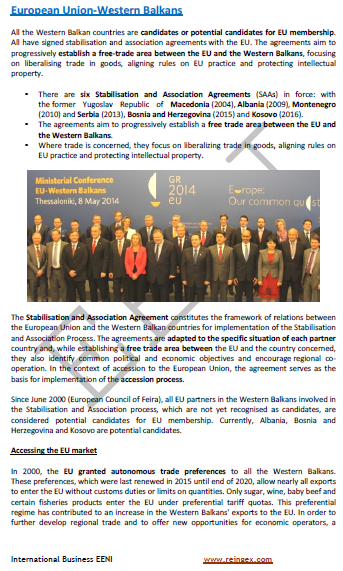 The European Economic and Social Committee give opinions based on proposals from the European Union (EU). One of its functions is to serve as a liaison between the European Union Institutions and civil society. The European Economic and Social Committee has links with other economic and social interest groups: Mediterranean countries, ACP countries (Africa, Caribbean, Pacific), Eastern Europe, European Union candidates countries, Latin America, India or China.